The Maui Dharma Center follows the teachings of Buddha Shakyamuni who lived over 2,500 years ago. The Center is dedicated to creating the opportunity to meet, utilize and integrate these ancient, humanitarian spiritual values into everyday modern life. The highest Buddhist goal is to attain the perfect union of compassion and wisdom in order to benefit others. This is the path and our collective aspiration. 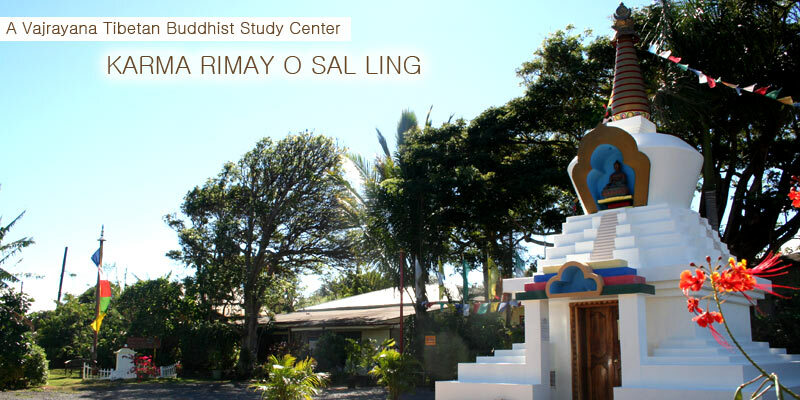 The Maui Dharma Center is an urban Center located in Paia on the beautiful Valley Isle of Maui in the Hawaiian islands, and provides a place for the study and practice of Tibetan Buddhism in the Karma Kagyu and Shangpa Kagyu Vajrayana tradition. The Center offers daily, weekly, and monthly prayer and meditation sessions, retreats and Dharma talks. The Center has classes in Tibetan language and presents programs in Tibetan art and culture. The Center is open every day. Visitors and practitioners are welcome.